The simple design of this rustic pendant light can add charm and warmth to your rustic home or cabin. Made in the USA. 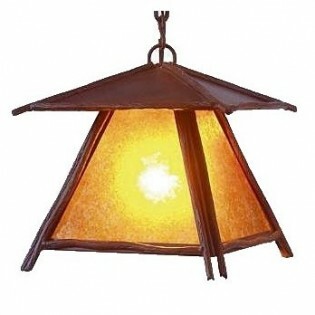 The simple design of this rustic pendant light can add charm and warmth to your rustic home or cabin. The Bundle of Sticks Pendant Light measures 12.5"H x 10.5"W, includes 4' of chain and uses one 150 watt regular base light bulb. Please allow approx. 3 weeks for shipping Made in the USA.